The government has been fine-tuning its guidance as to the extent to which developers in England should be required to fund education provision. Remember that section in Decline and Fall, where Paul Pennyfeather gets sent to Llanabba Castle School in north Wales to teach subjects he knows nothing about, and his trips to Mrs Roberts’ pub with Captain Grimes? (If not, do put this blog post down and pick up D&F – much more entertaining). One of the grounds of challenge to the grant of planning permission for residential development on the site of the Inn was that the planning committee, in approving the proposal on the basis of a commuted sum towards education provision, “were misled by inaccurate information being provided in relation to education school capacity.” It was submitted by the claimant (a representative of the campaign group Passionate about Llanddulas) that “although members were advised that the commuted sum would be used to improve existing school facilities in the near future, including the construction of a new school, the position […] is significantly different. [The claimant] contends that the position in truth is that the school in Llanddulas will remain over capacity on the basis that there is no guarantee at present that any new school would be secured through the provision of a commuted sum for education“. The claimant sought to rely on correspondence from the same officer that post-dated the permission and which set out the steps that would need to be taken to secure Welsh Government funding for a new school, the outcome of which was uncertain notwithstanding confidence expressed by the officer. Nor whether it offended the (soon to be abolished) pooling restriction in regulation 123. Whilst the permission thereby survived the campaign group’s legal challenge, when you step back for a moment, the basis for requirements for contributions towards education provision, and the expensive uncertainty which developers and residents in new developments are expected to put up with, is faintly bizarre. New homes may contain children. Those children would need schooling somewhere regardless of the particular development. 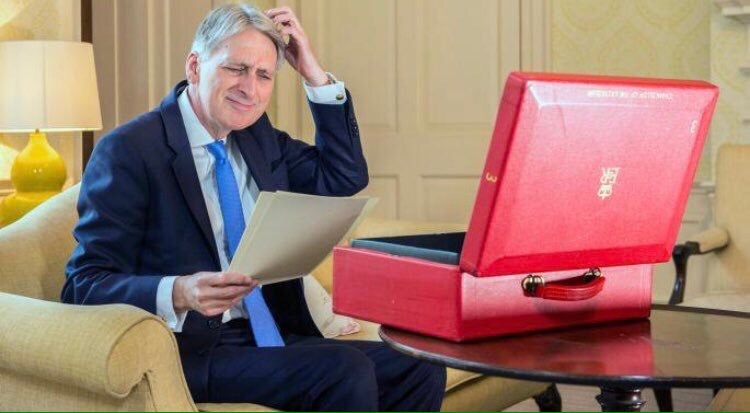 And yet, an application for planning permission for residential development is an opportunity that the Government pretty much requires local authorities to take in order to reduce the financial burden on the state and on direct taxation to secure financial contributions towards new and expanded schools. That cost reduces the financial viability of schemes, thereby reducing the amount affordable housing that the developer can subsidise (I’ve commented before on that logical disconnect conveniently ignored by successive Governments looking to minimise headline tax rates – so building market housing increases the amount of subsidised affordable housing that needs to be provided does it?). And, as in that Llanddulas example, where development proceeds on the basis of a financial contribution to something somewhere in the future, the developer and those who end up living in the development are at the whim of demographics and the education department’s forward planning and funds-securing nous as to whether, and where, necessary school places will become available. Rarely is the lack of available school places a reason to refuse planning permission. But this is the policy environment. “What funding is available for education? Government provides funding to local authorities for the provision of new school places, based on forecast shortfalls in school capacity. There is also a central programme for the delivery of new free schools. Funding is reduced however to take account of developer contributions, to avoid double funding of new school places. 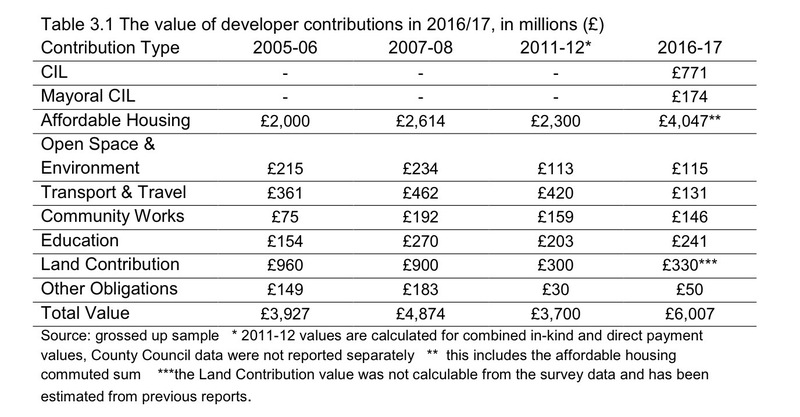 Government funding and delivery programmes do not replace the requirement for developer contributions in principle. Plan makers and local authorities for education should therefore agree the most appropriate developer funding mechanisms for education, assessing the extent to which developments should be required to mitigate their direct impacts. What contributions are required towards education? Plans should support the efficient and timely creation, expansion and alteration of high-quality schools. Plans should set out the contributions expected from development. This should include contributions needed for education, based on known pupil yields from all homes where children live, along with other types of infrastructure including affordable housing. Plan makers and decision makers should consider existing or planned/committed school capacity and whether it is sufficient to accommodate proposed development within the relevant school place planning areas. Developer contributions towards additional capacity may be required and if so this requirement should be set out in the plan. Requirements should include all school phases age 0-19 years, special educational needs (which could involve greater travel distances), and both temporary and permanent needs where relevant (such as school transport costs and temporary school provision before a permanent new school opens). Plan makers should also consider whether pupils from planned development are likely to attend schools outside of the plan area and whether developer contributions may be required to expand schools outside of the area. When local authorities forward-fund school places in advance of developer contributions being received, those contributions remain necessary as mitigation for the development. The Department for Education published some detailed guidance for local authorities on 11 April 2019 to help them in securing developer contributions for education and on the approach to education provision in garden communities. The guidance purports not to “advise the construction/development industry on its duties or responsibilities in paying for infrastructure” or to replace or override “policy/guidance produced by other government departments“. However, if you are negotiating section 106 agreement obligations, it is essential reading. Planning obligations should “allow enough time for developer contributions to be spent (often this is 10 years, or no time limit is specified“. But personally, I would push against such long timescales save where specifically justified! 6. While basic need funding can be used for new school places that are required due to housing development, we would expect this to be the minimum amount necessary to maintain development viability, having taken into account all infrastructure requirements Where you have a reasonable expectation of developer funding being received for certain school places,3 and you have declared this in your SCAP return (or plan to do so), then basic need funding should not be considered available for those school places other than as forward funding to be reimbursed by developer contributions later. “Pupil yield factors should be based on up-to-date evidence from recent local housing developments“. DfE is working on a detailed methodology. All new primary schools are now expected to include a nursery. There must be sufficient primary and secondary education up to the age of 19 as well as special educational needs and disabilities (SEN) provision. The assumed cost of mainstream school places should be based on national average costs published by the DfE, adjusted to reflect regional costs differences. The cost of early years provision should be assumed as the same as primary provision. Contributions to special school provision should be set at four times the cost of a mainstream school place. All temporary and permanent education needs should be properly addressed, including school transport costs and temporary school provision. Where appropriate, both a preferred and “contingency” school expansion project should be identified in a section 106 planning obligation. “23. You may wish to safeguard additional land when new schools within development sites are being planned, to allow for anticipated future expansion or the reconfiguration of schools to create a single site. ‘Future-proofing’ can sometimes be achieved informally through a site layout that places open space adjacent to a school site. Where justified by forecast need for school places, additional land can be designated specifically for education use and made available for purchase by the local authority within an agreed timescale, after which the land may be developed for other uses. (There are elements of paragraphs 23 and 24 with which I would take issue or which may be too generally expressed. For example, if the reservation of additional land for a school (or for further forms of entry to an existing school) and the need for those additional school places is not generated by the development within which the land is situated, why should that land not be acquired at the development value it would otherwise have enjoyed?). The guidance annexes advice on compliance with state aid and public procurement legislation. There is specific guidance on strategic developments and new settlements (with more detailed separate guidance on garden communities), including on multiple phase school provision, the timing of provision and use of viability review mechanisms where the initial education contribution has been reduced on viability grounds. Whether your education contribution is in the low tens of thousands of pounds as per the Llanddulas case or in the low tens of millions of pounds, as may be the case with a new settlement, arriving at efficient, practical solutions is key. Travelling optimistically, let us hope that the new guidance will assist in arriving at those solutions, rather than encouraging authorities to add to the current list of requests. Faraday v West Berkshire Council (Court of Appeal, 14 November 2018) is essential reading for those advising on development agreements between local authorities and developers: the fact that the developer has the benefit of an option as to whether to take an interest in the relevant land and carry out the development does not prevent the agreement from being treated as a public works contract. Quite a reversal from Holgate J at first instance. For planners and planning lawyers advising on section 106 agreements, the case is more reassuring than for those struggling with development agreements. The Court of Appeal considered that the position in relation to development agreements was to be distinguished with that in relation to section 106 agreement. It expressed the position more firmly than the High Court had previously needed to in Midlands Co-Operative Society Ltd, R (on the application of) v Birmingham City Council and Tesco Stores Limited (Hickinbottom J, 16 March 2012). The Midlands Co-Operative case concerned a deal reached between Birmingham City Council and Tesco for the redevelopment of land in Stirchley owned by the council on which there was an indoor bowls and community centre. Part of the arrangements between the council and Tesco included a section 106 agreement to provide and fit-out a replacement community centre and indoor bowls facility. The decisions to enter into a contract to sell the site and to use CPO powers to assist with assembly of the remainder of the development site were challenged by a competing developer, the Co-op, which asserted that the arrangements amounted to a public works contract and that that public procurement requirements had been breached. Hickinbottom J rejected the challenge, on the basis that whilst the council had exchanged contracts to sell the land to Tesco there was no legally enforceable obligation on Tesco to carry out the works unless it chose to proceed. Whether it proceeded with the scheme was at its discretion. “For those reasons, I do not consider that Tesco is now under any legally enforceable obligation to perform any relevant works that mean that the arrangements between it and the Council or any of them (including the contract for the sale of the Community Facility) fall within the scope of “public works contract” for the purposes of the 2006 Regulations; and, hence, the procurement provisions of those Regulations do not apply. “The touchstone, then, is whether, in substance, the agreement in question, at the date it is concluded, provides for a relevant procurement. In this case, judged by that test, the development agreement clearly did provide, at the date it was entered into, for a procurement by the council of the development it was intended to deliver. At that date, no further act of procurement by the council remained to be done, for which a lawful public procurement procedure could later be conducted. The time for that had passed. When it entered into the development agreement, the council had nothing more to do to ensure that a “public works contract” would come into being. It had, in fact, done all that it needed to do to procure. It had committed itself contractually, without any further steps being required of it, to a transaction that will fully satisfy the requirements of a “public works contract”. It had committed itself to procuring the development from St Modwen. The development agreement constitutes a procurement in its result, and a procurement without a lawful procurement procedure under the 2004 Directive and the 2006 regulations. The procurement crystallizes when St Modwen draws down the land. The ground lease entered into by St Modwen will contain an unqualified obligation to carry out works, and a corresponding obligation will also be brought into effect in the development agreement itself. The development agreement made that commitment on the part of the council final and provided also for a reciprocal commitment on the part of St Modwen. It did so without a public procurement process, and without affording any opportunity for such a process to be gone through before the “public works contract” materializes. At that stage it would be too late. Thus a “public works contract” will have come into being without a lawful procurement process. The regulation of the council’s actions in procuring the development will have been frustrated. That is an important paragraph, because if obligations on developers in section 106 agreements to carry out works were to trigger public procurement requirements, the whole practice of using planning obligations to achieve acceptable development would rapidly have come to a halt. Instead, we have clarity that there is not a problem. Good news. And also good news that as a planning lawyer I may not now need to focus so much on the Public Procurement (Amendment etc.) (EU Exit) Regulations 2019 – laid before Parliament on 13 December 2018 and prepared with the objective of continuing the current public procurement regime post Brexit. Leading counsel for the unsuccessful claimant in Midlands Co-Operative was David Holgate QC, as he was back in 2012 – and the position as a judge he later took at first instance in Faraday was very much in line with the approach that Hickinbottom J had taken in Midlands Co-Operative in the face of Holgate’s submissions – no legally binding obligation on the part of the developer, therefore no public works contract. Junior counsel for the city council in Midlands Co-Operative was a very young Charlie Banner, who deservedly becomes Charles Banner QC on 11 March 2019. He was led in Midlands Co-Operative by David Elvin QC, whilst in Faraday Banner would appear for the claimant (and at first instance was given some of the treatment from Holgate that in Midlands Co-Operative Holgate had himself received from Hickinbottom) (with Elvin appearing on the other side for the defendant council). Well done for getting past the heading. Someone recently asked me whether the Government ever changes its proposals as a result of a consultation process. For an example of just such a thing, I was able to point to the Government response to supporting housing delivery through developer contributions: a summary of consultation responses and the Government’s view on the way forward (29 October 2018). The proposals set out in the Government’s March 2018 consultation paper (summarised in my 10 March 2018 blog post Developer Contributions, CIL, Viability: Are We Nearly There Yet?) have been modified significantly as a result of consultation, mostly for the better in my view at least. This blog post focuses on the changed proposals and then looks at some looming issues facing phased developments in areas where charging authorities are looking to increase rates (I’m focusing on the Mayor of London’s MCIL2 but I’m sure the issue is of wider application). The Government intends to consult on draft regulations “later this year” to implement the changes set out in the March 2018 consultation document, as now modified. It is important to note that the Government will “also consider whether changes could be made to the Community Infrastructure Levy to incentivise the build out of developments.” (perhaps something that Sir Oliver Letwin might have looked at but…). 2. The pooling restriction will now be removed in its entirety in all areas. Hooray! Although of course there is the risk that tariff-type section 106 contribution requirements will again become more prevalent, in my view the pooling restriction led to many unnecessary problems and uncertainties, which would have continued under the Government’s March 208 idea of only removing the restriction in in areas where specified criteria were met. 5. At the time that it publishes the draft amendment regulations, the Government intends to “consult on changes to indexation of Levy rates and the way in which it would be implemented“. Its current preference is to index CIL rates “for residential development to the House Price Index using local-level data on an annual basis” and to index rates for non-residential development to the Consumer Price Index. It recognises the transitional issues that will arise. 6. The Government still intends to remove the restriction in relation to section 106 obligations that relate to an infrastructure project or type of infrastructure that is set out in the authority’s Regulation 123 list. “New reporting standards, which are set out in the Infrastructure Funding Statement, will address concerns about double dipping by ensuring that there is transparency over how developer contributions from both CIL and section 106 planning obligations are being used, rather than by placing formal restrictions in regulations.” We need to watch this one with care! Issues such as these are indeed causing much uncertainty. Whilst we wait for eventual reform of the system, of more immediate focus are the implications of gradual increases by charging authorities in CIL rates. In London, the Mayor of London is waiting for the inspector’s report following the examination into the draft charging schedule for MCIL2. MCIL2 is proposed to part-fund Crossrail 2, in the way that MCIL1 (together with a related policy of seeking section 106 contributions in relation to some areas and types of development) is part-funding Crossrail 1. The charging schedule for MCIL1 was adopted on 1 April 2012 (which is why there are many section 106 agreements and permissions dated March 2012, as developers and boroughs scrambled to ensure that permissions were not subject to the levy!). The standardised wording included in relevant section 106 agreements provides that any MCIL1 which is payable reduces the contributions which are required to be made under the relevant section 106 agreement. As long as the inspector’s report is received on time and gives it a clean bill of health, MCIL2 will be adopted on 1 April 2019. The changes in rates, compared to where the 2012 rates currently sit with indexation applied, are mostly not huge, but they are significant in some areas. In areas where the increases are material, I am sure we will see a similar rush to beat the deadline. Assuming that MCIL2 is waved through and the charging schedule is adopted on 1 April, the relevant point at which it takes effect is determined by everyone’s least favourite phrase in the CIL Regulations: “at the time planning permission first permits the chargeable development“. For a non-phased permission, this is the date of the permission – easy. For a phased outline permission, this is either “the date of final approval of the last reserved matter associated with that phase” or “if earlier, and if agreed in writing by the collecting authority before commencement of any development under that permission, on the day final approval is given under any pre-commencement condition associated with that phase“. For a phased full permission, this is either “the day final approval is given under any pre-commencement condition associated with that phase” or “where there are no pre-commencement conditions associated with that phase, on the day planning permission is granted“. ⁃	What does “associated with that phase” mean? ⁃	Does “any” mean “any” or, in fact, “all“? As a final example of the inadequacies of the legislation: where there is a phased permission and a revised charging schedule is subsequently adopted, the only indexation that applies is of the amount arising from the initial charging schedule up to the end of the year prior to the date of the permission. There is no further indexation through to commencement of development or any indexation of the revised charging schedule insofar as it applies to the phases! Would it not be simpler and more predictable if indexation were not to stop at the initial grant of the permission and instead to continue through to final approval (or even commencement of development) in relation to each phase, but if the potential application of revised charging schedules were removed? ⁃	but the whole regime really does still need simplifying: to state the obvious, significant liabilities can unexpectedly arise for the unwary – and large sums of money can turn on uncertain issues of interpretation. The road to the High Court is paved with good intentions. Who doesn’t want development to deliver all manner of gains to a community? But at the planning application or appeal stage, the developer and decision maker need to be clear in their thinking as to whether each commitment made is material to the decision-making process and, if documented by way of section 106 agreement, meets the statutory tests. This piece was initially prompted by the High Court’s ruling in Good Energy Generation Limited v Secretary of State (Lang J, 25 May 2018) and the earlier ruling of the Court of Appeal in R (Wright) v Forest of Dean District Council (Court of Appeal, 14 December 2017), which is now heading to the Supreme Court. I then saw this piece in the Standard on the way home last night which got me thinking as to how blurred the lines are in all of this. As you might expect, the position is dealt with in a more upfront way in the United States, where the practice has grown up of developers negotiating “community benefits agreements” with local communities to build support for, or at least reduce opposition to, major development projects. There is a good paper published by the New York City Bar, The Role of community benefit agreements in New York City’s land use process (8 March 2010). The scope of the agreements referred to, in relation to projects such as Hudson Yards and the relocation of the Mets and Yankees stadia, sounds remarkably similar to many English section 106 agreements but the agreements are negotiated direct with the communities affected. An additional complication does of course arise as to determining which groups should be included in the negotiation, as well as to how the agreement is to be enforced, but for good or bad the process does not appear to lead to the intellectual agonising engaged in by our courts as to whether particular commitments are or are not to be taken into account in the decision making process. (For further detail see my 28 October 2017 blog post Aberdeen: Supreme Court, Planning Obligations). The two most recent cases that examine the appropriateness of developers’ commitments as to benefits for the local community both involve wind farm projects. That’s probably no surprise because, against the background of frequent local hostility, the Government has encouraged promoters to bring forward community benefits packages (see for example the 2014 DECC guidance, Community Benefits from Onshore Wind Developments: Best Practice for England). The PPG also encourages “community led renewable energy developments” and “community based initiatives“. However the principles from the case law of course apply equally to all types of development. R (Wright) v Forest of Dean District Council (Court of Appeal, 14 December 2017) considered the “issue of whether, on an application for development proposed to be undertaken by a community benefit society, a proposed donation to the community of a proportion of the turnover derived from the development is a material consideration.” In that case, which concerned a scheme for a single community-scale 500kW wind turbine, it was “proposed that the turbine would be erected and run by a community benefit society, and the application included a promise that an annual donation would be made to a local community fund based on 4% of turnover from the operation of the turbine over its projected life of 25 years, to be achieved by way of a condition that the development be undertaken by such a society with the donation as part of the scheme.” The commitment was not to be delivered by way of section 106 agreement (and so regulation 122 was not relevant) but by way of a condition requiring that the development be undertaken by a community benefit society, details of which were to be provided to the authority prior to commencement. The local planning authority took that commitment (which looks a pretty loose one to me!) into account as a material consideration in granting planning permission. A local resident challenged the decision on the basis that it was not a material planning consideration. Dove J upheld the challenge and the local planning authority and promoter appealed to the Court of Appeal. In front of the Court of Appeal, counsel for the local planning authority and the promoter both “accepted that, on a planning application, it would be unlawful for a planning authority to take into consideration a donation to a community benefit fund by a commercial wind farm developer, because such a donation would not be a material consideration. For similar reasons, they accepted that an authority could not require such a donation as a planning obligation, whoever the developer might be. However, they each submitted that the circumstances of this case, notably the voluntary donation derived from a community-led project and made to benefit the community, were materially different“. “where a financial contribution that is not a material consideration is put forward as part of an application for proposed development, it is sometimes said that that is an attempt to “buy” planning permission. In my view, that terminology (or even more pejorative terms such as “bribe”) is generally unhelpful. In respect of materiality, the proper focus is upon the Newbury criteria. No matter how well-intentioned the proposed donor might be (and I accept that, here, Resilient Severndale is well-intentioned), and no matter how publicly desirable such a donation might be (and I accept that, here, the proposed community benefit fund would benefit the community), such a donation will not be material for planning purposes unless it satisfies those criteria. “The Claimant submitted that, in assessing the planning balance, the Secretary of State and the Inspector erred in law in disregarding the benefits offered by the Claimant in a unilateral undertaking made under section 106 TCPA 1990, as these were material considerations, which were not excluded by regulation 122 of the CIL Regulations 2010.
iii) a reduced electricity tariff, open to local residents. The Claimant’s pleaded case was that all three of these community benefits were material planning considerations. They were for a planning purpose since they furthered the Government’s legitimate planning policy objectives of encouraging local community involvement in renewable energy schemes and providing positive local benefit from renewable energy development. They also complied with specific aspects of local development plan policy. Furthermore, the benefits were directly related to, and derived from, the use of the land for the operation of the development. However, after the claim was issued, the Court of Appeal decided in R (on the application of Peter Wright) v Forest of Dean District Council & Resilient Energy Serverndale Limited  EWCA Civ 2102 that the local planning authority had erred in taking into account a proposed donation to the community (4% of turnover) from the operators of a wind turbine development as a material consideration weighing in favour of the grant of planning permission. It did not serve a planning purpose, nor did it fairly and reasonably relate to the development proposed. In the light of the decision in Wright, at the hearing before me, the Claimant abandoned its challenge in respect of the community benefit fund, but continued with the challenge in respect of the community investment scheme and the reduced electricity tariff scheme open to local residents. She found that the terms of the community investment scheme were uncertain. The section 106 unilateral undertaking simply committed the developer to its establishment within six months of first generation. “The lack of any specific details, combined with uncertainty about the scheme’s commencement and long-term future, meant that the connection between the benefit and the development was remote and uncertain, rather than real. …It was merely a potential investment opportunity“. What lessons do we draw? There is nothing at all wrong with developers making commitments to deliver community benefits. However, be careful to ensure that these are only taken into account in decision making if they are material planning considerations and meet the strict requirements of regulation 122. Can we do things differently? There is nothing to prevent developers negotiating community benefits agreements, perhaps labelled indeed as such, with communities as long as matters which are not material planning considerations are not taken into account in decision making (although I accept that the position can become pretty artificial, where committee members are asked for the sake of form in their decision making to close their eyes to what is plainly on offer). At present section 106 agreement negotiations, particularly in relation to major projects, can become somewhat of a fudge, where it can be difficult to separate those commitments which are genuinely required to make the development acceptable from those which are required in practice to secure political and community acceptance. To the extent to which regulation 122 has either introduced an additional JR trip hazard (as it has) or, through leading to caution on the part of promoter and authority alike, discouraged commitments to what would have been worthwhile public benefits, better for all, is regulation 122 causing more harm than good? Finally, the way in which all of this to be reported to committee will be tidied up as and when section 155 of the Housing and Planning Act 2016 is brought into force, in that “financial benefits information” will need to be included in officers’ reports, including “a list of any financial benefits (whether or not material to the application) which are local finance considerations or benefits of a prescribed description, and which appear to the person making the report to be likely to be obtained” by the authority or third parties within a description to be prescribed, as a result of the proposed development, together with “in relation to each listed financial benefit, a statement of the opinion of the person making the report as to whether the benefit is material to the application” as well as any other prescribed information about each listed financial benefit. Whether or not section 155 is brought into force, this approach would be a useful discipline and may provide a safer basis for developers who do indeed for a range of reasons (reputation, securing quality outcomes in the longer term, building support and reducing suspicion with local communities and, in some cases such as renewable energy, shale and major transportation projects, seeking to address the perceived unfairness of expecting one community to take all of the adverse effects of development for the wider good) wish to deliver community benefits without unnecessarily adding to the risk of judicial review. So now we know. We will all be continuing to scratch our heads over CIL. Removal of section 106 pooling restrictions, recommended by the CIL review team, is to be welcomed. Of course that should not be a green light for authorities in relation to a development proposal to revert to blanket tariff type section 106 requirements which would fail the regulation 123 test and wider principles recently set out by the Supreme Court in the Aberdeen case (see my 28 October 2017 blog post). Speeding up the process of setting and revising CIL, also recommended by the CIL review team, needs greater care in my view. It made sense as part of the review team’s concept of lower rates, arrived at in a more mechanistic manner than is currently the case. But there is no hint of lower rates in the Government’s proposal. 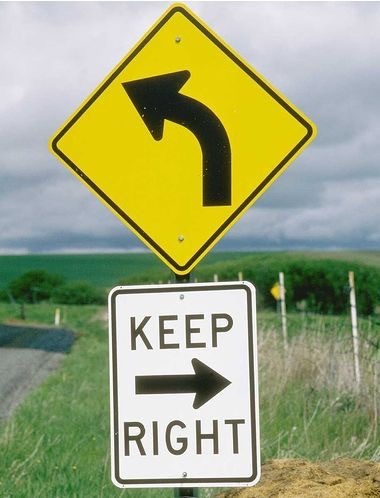 Accordingly, close scrutiny is required. It is difficult enough as it is to have a meaningful influence on the process. The indication that higher zonal CILs could quickly be introduced to seek to capture land value uplifts around stations for instance is interesting but such interventions will need to be introduced with care if they are not in fact to discourage land owners from making their property available. Allowing authorities to set rates that better reflect the uplift in land values between a proposed and existing use was not a proposal that was considered by the CIL review team. It adds a further degree of complexity to the process. Charging schedules will have more categories. Precise floorspace calculations will be required not just of the proposed development but of the building that is to be replaced. Unintended consequences will inevitably arise and influence development strategies. A change of the indexation basis to house price inflation from build costs was not recommended by the CIL review team and will marginally complicate the process of calculating indexation, given that different areas will be experiencing differing inflation rates. And why is house price inflation relevant to non-residential floorspace? Allowing combined authorities and planning joint committees with statutory plan-making functions the option to levy a Strategic Infrastructure Tariff was recommended by the CIL review team but that was against the backdrop of CIL being replaced with a lower “local infrastructure tariff”. Any additional net cost to owners and developers will directly affect viability, ie reduce the amount of affordable housing that schemes could otherwise afford. If the ability to rely on viability arguments is to be reduced, as the Government separately proposes, this is definitely going to impede delivery. Furthermore, why does affordable housing always lose out to infrastructure, particularly when charging authorities are proving very slow in spending the CIL monies that they have so far collected? 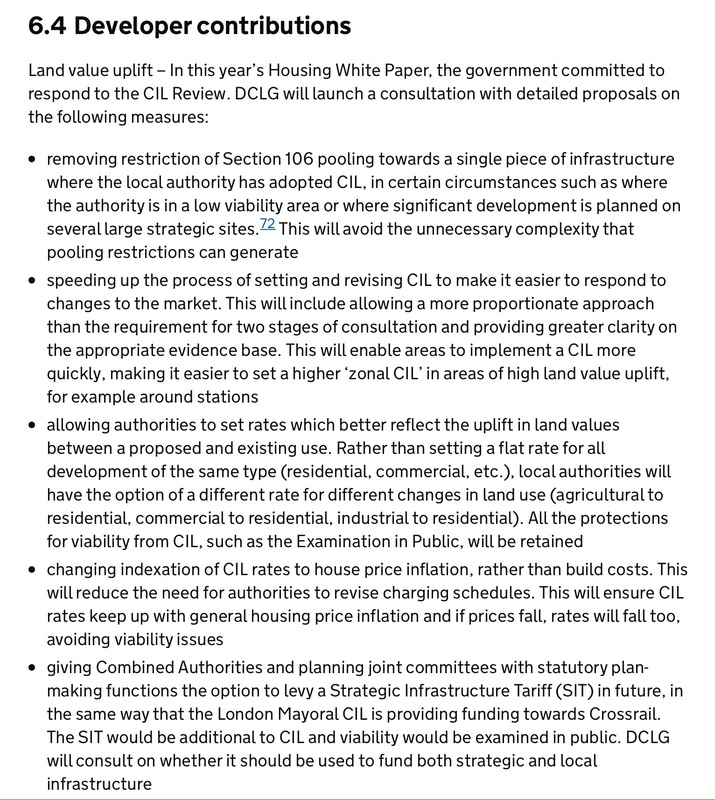 The proposals make no mention of the CIL Review team’s proposal, widely supported, of allowing infrastructure to be delivered via section 106 agreements in connection with larger developments, recovering the flexibility and opportunities for efficiency that the CIL system has removed. There will be detailed consultation on these and other changes, ahead of or possibly alongside the draft revised NPPF (rumoured now to have slipped to April 2018) before regulations are made which would probably now not come into force until early 2019. Earlier regulations are expected to deal with the specific ambiguity within regulation 128A affecting section 73 applications (highlighted in the VOA ruling mentioned in my CIL: Kill Or Cure blog post and since challenged by way of judicial review by the charging authority, Wandsworth) – but the transitional provisions within those regulations, and the extent to which the clarification should have retrospective effect, will need careful thought. For my part I find it incredibly disappointing that this whole process has been so slow and that the considered recommendations of the review team appear to have been cherry picked, destroying any internal coherence in what is proposed. Aside from correcting some obvious flaws, there appears to be nothing that will reduce CIL’s complexity, the problems arising from the multiplicity of exemptions, the straitjacket that it imposes in relation to more complex schemes and the high rates that are being set with little real scrutiny – indeed quite the reverse. The Government may have answers to these criticisms but simply relying on one paragraph in the budget policy paper really isn’t good enough.